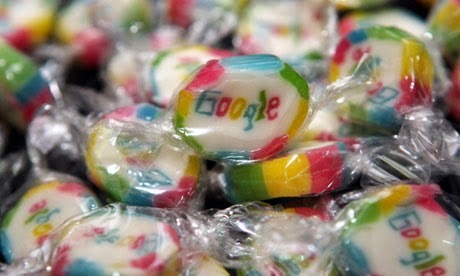 Today Sep 27, Google is celebrating its 15th birthday. Have you noticed the Google doodle today? It’s very interactive. It holds the special Mexican piñata game. Just go to Google to celebrate the birthday and play the game to attain High score. More interesting things are there as the part of Google’s birthday celebration. 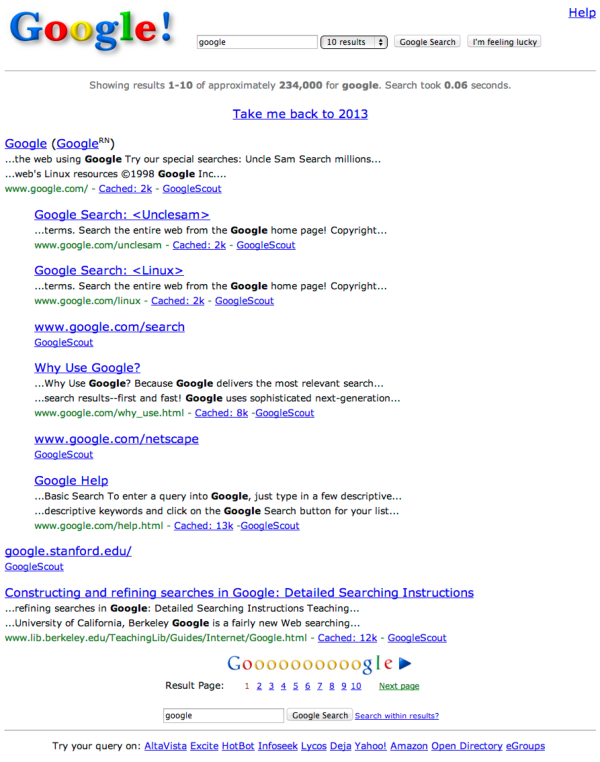 Do you want to go back to 1998 and look how Google looked when it was incorporated? Here is the way to rewind back to 1998. Just type “Google in 1998” in Google search and look the magic. It directs you to the Google search page in 1998. You can use Google as it was in 1998 and feel the past. There will be a link “Take me back to 2013” which brings you back to 2013. In a simple way, you can switch between 15 years of Google. Find below the picture of “Google in 1998”. Google was incorporated in September 4, 1998. The founders were Larry Page and Sergey Brin. It officially celebrates its birthday on September 27 of every year. 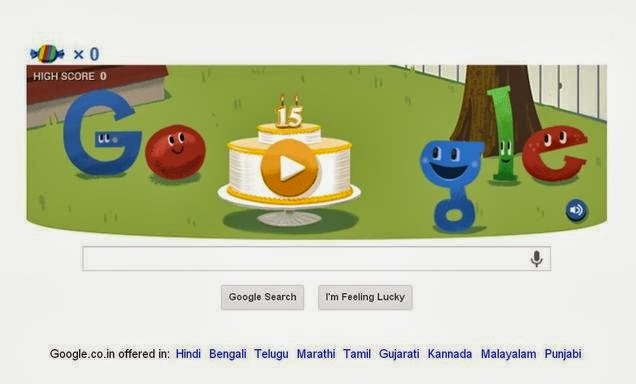 Google started to celebrate its birthday with its doodle from 2002. 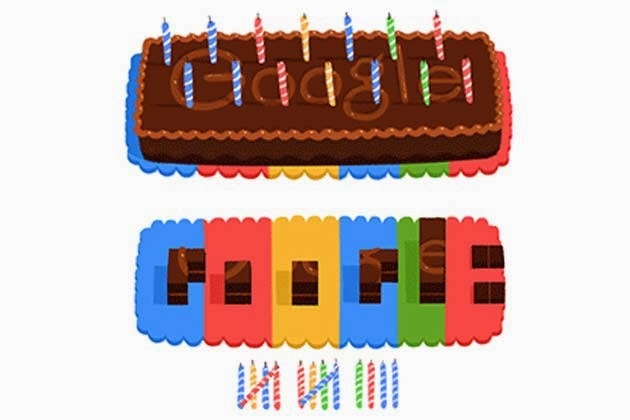 Last year Google doodle was represented with a chocolate cake and candles. This year it’s celebrated with Mexican piñata. The piñata is attracting design of cloth or paper filled with candies and toys or any goodies. When it’s broken, as a symbol of celebration, everyone enjoy the gifts within it. Google doodle today celebrates with this piñata. When a spacebar is pressed or a click is made within the image, a stick will hit the piñata and chocolates with fall. We can play and make a high score by getting more candies. Though Google is incorporated at the early September, its birthday is officially celebrated every year 27th of September. Everyone playing the game today and making their high score and sharing their score in Google+. We can automatically share the score with the option available after the game. We can play again and share the score in Google+. Players are eager to know the top score of the game. The headquarters of Google is located at Mountain View, Claifornia. It holds the revenue of more than $50 billion by 2012. Google has been a great legend in its 15 years. Readers don’t miss the chance of playing the piñata game which appears in Google doodle today(September 27) alone. Join the game, go back 15 years reverse and celebrate the Google Birthday.